We are the Western Canadian distributor for the DITEC Entrematic (formely Hunter Automatics) and the dealer for the ASSA ABLOY Entrance Systems Besam automatic door lines - quality automatic door products which provide reliable service and low upkeep at a competitive price. 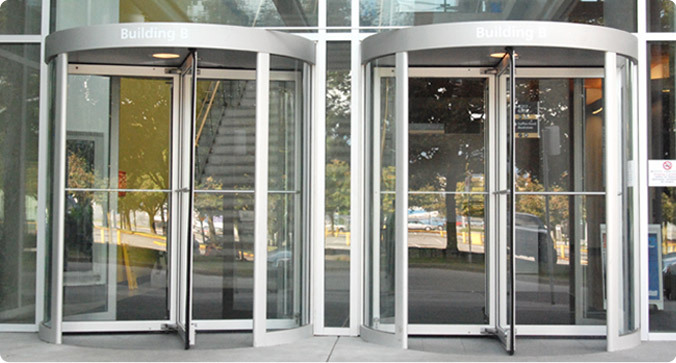 We also distribute fine lines of automatic and manual revolving doors which hold a strong portion of the market in Europe and North America. We have been a competitive presence in the automatic door market for more than thirty-five years and the products that we carry offer up all of today's modern technology. We maintain a large inventory of commercial door hardware including door closers, panic hardware, door pivots, flush bolts, door stops and holders, as well as parts for all types of pedestrian automatic door systems.